JACKSONVILLE, Fla. -- School officials say two students have been shot on a school bus in Florida. Duval County Public Schools spokeswoman Tia Ford says the shooting occurred Thursday afternoon on the west side of Jacksonville, in the northeast part of the state. 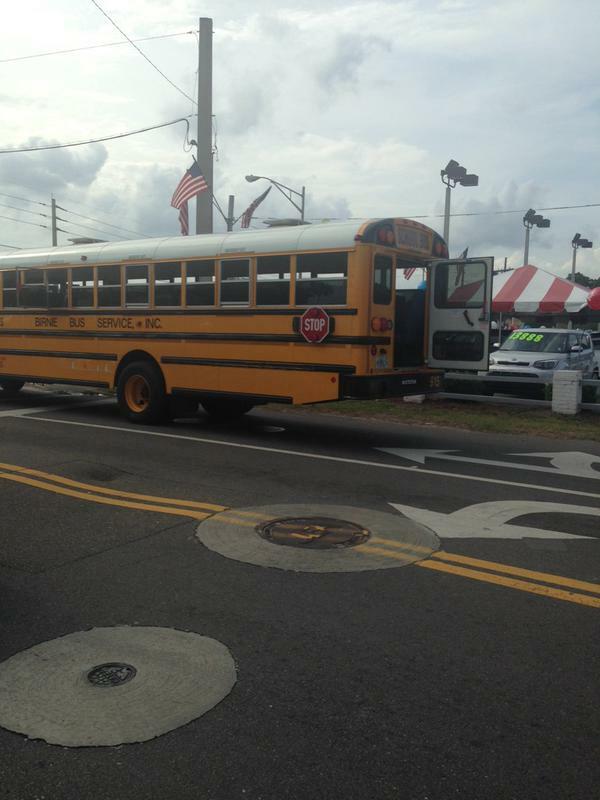 A spokesperson for the Jacksonville Sheriff's Office (JSO) said Thursday that witnesses reported seeing two men, who looked approximately 18 years old, firing at the bus. One was not wearing a shirt, the spokesperson said. After the shooting, the bus driver drove approximately one-quarter mile "to get to a safe location," the spokesperson said. Police have not yet determined how many shots were fired. Both victims -- girls, according to the JSO -- were taken to the hospital. The Sheriff's Office tweeted Thursday afternoon that the two victims have non-life threatening injuries. Ford says the bus serves three alternative educational schools in the area of the shooting.